but there’s nothing better than being a mommy to my sweet twin babies. Oh, it’s not easy, in fact, it’s the hardest job I’ve ever done! But my life has never been so fulfilled. I was one of those career-oriented yuppy types – never thinking I’d have children of my own. But once I turned 37 it all started to click and suddenly being a mother was what I wanted most. I had absolutely no idea what I was getting in to and was thoroughly shocked at finding out we were having twins. I mean shaky, trembling, (happy) tears-rolling-down-the-face kind of shocked. I had never changed a diaper in my entire life and had no idea how to take care of babies or children. I felt overwhelmed by the fact that I would soon be responsible for two fragile little beings and also staying at home and trying to manage the household. Since I was on bedrest for most of my pregnancy and was very worried about not knowing what to do when my babies got here, I eased my mind by collecting and absorbing as much information on the topic as I possibly could. The most helpful information always came from a mommy blogger talking about her own experiences. I can’t express how thankful I am to all of those mommy bloggers for helping me get through all the worries so that I could relax and enjoy my pregnancy and my babies once they were born. 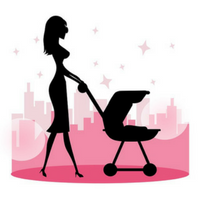 I chose to blog about my own motherhood experiences to pay it forward. I am putting all the useful information I’ve collected in one spot; creating a platform for moms like me to access when they’re looking for solutions to their problems – making for an easier and happier motherhood! If you like what I have to say, please be sure to sign up for my (almost) weekly newsletter. As a member, not only will you be the first to get the latest posts sent right to your inbox, I’ll also hook you up with valuable tips and resources that are sure to help you rock this mommy gig even more. I’d love to have you! LOOKING FOR AN EASIER WAY TO DO THIS MOMMY THING? At Mother’s Little Helpers, I provide a platform for modern mamas like myself, who are searching for quick and easy solutions to their everyday problems. Sign up to my e-mail community to receive access to exclusive giveaways, freebies, hacks, tips as well as my personal updates and latest posts!